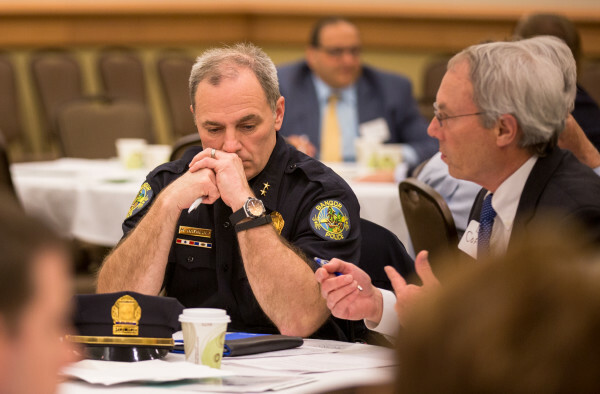 Bangor Police Chief Mark Hathaway listens to The Acadia Hospital President Dan Coffey discuss the opiate epidemic during the One Life Project at the Cross Insurance Center in Bangor on Wednesday, May 4. U.S. Sen. Angus King speaks with Traci Brown, mother of Garrett Brown, at the One Life Project on Wednesday night at the Cross Insurance Center in Bangor. 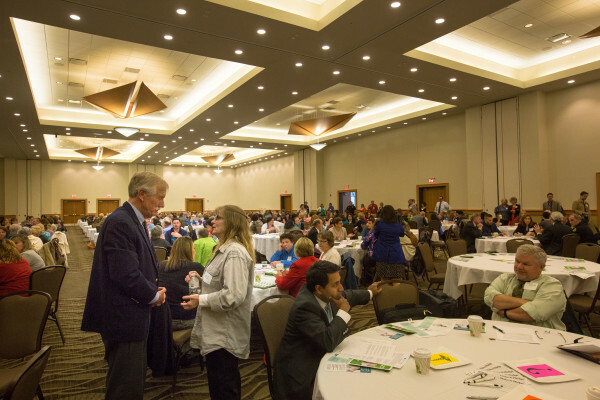 On May 4 at the Cross Insurance Center in Bangor, nearly 400 people came together as part of the One Life Project to answer five questions about how to stem the opiate epidemic. They wrote down more than 2,000 ideas. After eliminating redundant answers and combining related ideas, we have the following 99 ways to help prevent more overdose deaths. Some ideas are broad, some more specific. They were submitted by experts and non-experts alike. One, for instance, came from a 12 year old who said people should be able to dial a number and be connected to treatment immediately. Other ideas focused on integrating care, such as doing more to combine counseling and social work with programs providing medication and peer support. On the whole, they offer a significant number of ways forward to help save lives. Next to each idea, we’re writing down who is already working on it in Maine. We’ve already asked people who attended One Life to contribute, but now we’re opening it up to the public. If you know someone or an agency that’s pursuing the ideas listed, write it in the document here. We are also including who could be working on each idea if they’re not already. If you have thoughts, put them in the table in the document. The One Life event was possible because of your input. With your combined knowledge, we can create the start of a helpful path forward.